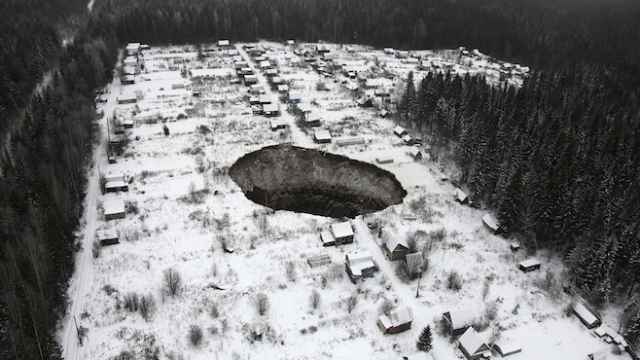 An aerial view shows a sinkhole 3.5 kilometers to the east of Solikamsk-2 mine in Perm region. 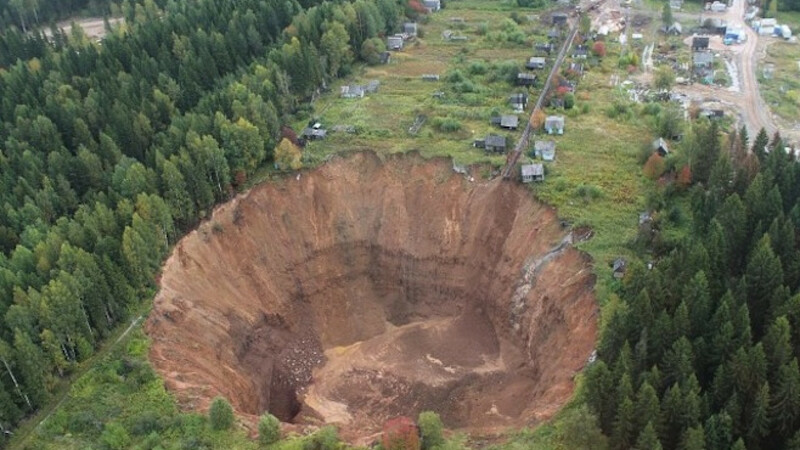 A giant sinkhole attributed to an accident at the Solikamsk-2 potash mine in central Russia's Perm region, has continued expanding and now measures about 120 by 125 meters, a news report said. 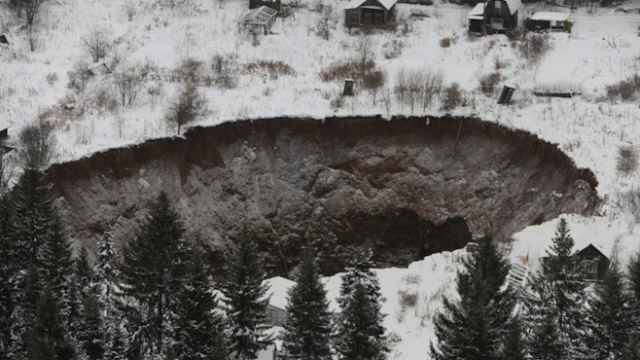 "From being huge, the sinkhole has become gigantic," Meduza news agency said in a report Wednesday, accompanied by pictures of the crater. 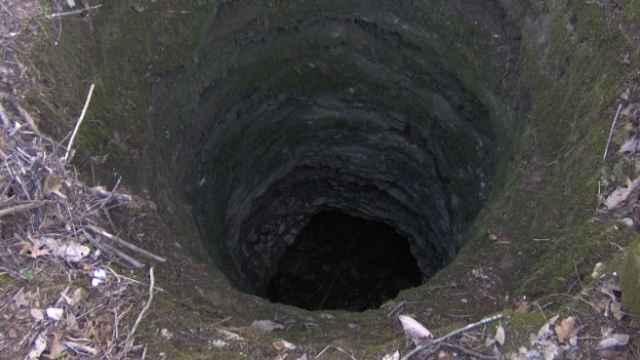 The sinkhole started out at around 30 meters in width after the accident last year, which was linked to brine inflow. Mine owner Uralkali, the world's largest potash producer, has suspended operations at Solikamsk-2 while it tries to contain the inflow and pump out the brine.